"Floating" after the flop can serve as a useful countermove versus habitual continuation bettors. Continuing our "10 More Hold'em Tips" series, learn how to use the "float play" after the flop. Building on our discussion of various no-limit hold'em moves, the "float play" refers to a call made after the flop by a player holding a weak hand with the intention of bluffing on a later street. Most often the call comes on the flop, with the bluff then following either on the turn or river. On the surface, the float play is fairly easy to recognize — it's calling without a hand. That's something we see players do all the time, including bad players, right? However, the strategy behind "floating" is actually somewhat advanced, making it a play some beginning players don't necessarily understand fully when trying to execute it. In other words, a "float" isn't simply a "loose call," but rather the first part of a multi-street postflop strategy. Let's talk a little further about what the float play is, how it works as a useful countermove to continuation bets, and other potential benefits to be hand when making the play. You're in a no-limit hold'em tournament and during the first few levels you notice the player sitting three seats to your right has been fairly selective, only getting involved very occasionally. Then with the blinds at 200/400 with a 50 ante you watch him raise to 1,000 from middle position. On the button, you look down at and call the raise, and the blinds fold. The flop comes . Your opponent continues with a bet of 1,400. You've obviously missed the flop, but you surmise that board very likely missed many of the hands your opponent probably has as well. Rather than bluff-raise here, though, you decide just to call with a plan to bet or raise on either the turn or river — that is, you "float" the flop by calling. The turn then brings the , and when your opponent checks you fire a bet of 3,000. He folds. If your opponent indeed has two big unpaired cards like or , your call on the flop is going to be worrisome, suggesting you've caught something on that eight-high board — at the very least a draw. The turn then makes things even less comfortable for the preflop raiser, adding yet another small card and even completing a possible straight for you. Your opponent's turn check signals weakness, making it the perfect spot to execute the second part of the float play and bluff. It's a great opportunity for you to pick up a decent pot without having made a hand. If you think about it, the check on the turn says a lot more about your opponent's hand than did the bet on the flop, which could have been made with a wide variety of hands. Even cautious or tight players are trained to make that continuation bet after having taken the preflop initiative. In fact, the float play came about in part because of the rise in continuation betting, a move employed to combat the "c-bettors" and not allow them to keeping claiming pot after pot postflop without some resistance. While the board texture is important to consider when floating, your actual hand isn't so much of an issue. Very often the float play is better to make after having missed the flop entirely, with total "air," for a couple of reasons. For one, if you do make bottom pair or some other hand of moderate value that might be better than your opponent's, getting to a showdown cheaply may well be a preferable postflop line to take. In that case you might not want to be calling bets then bluffing with bets or raises to bloat a pot. Secondly, if you try the float play with "air," it is much easier to get away from the hand should your opponent suddenly play back at you — say, with a check-raise on that turn bet. As we've been describing here, the float play is usually understood as a "position play" in which you aren't so much thinking about your cards or even chip stacks, but just taking advantage of having position on an opponent. By acting last, you can make things uncomfortable for opponents even by just calling their leading bets, and when you take the initative later with a bet or raise, they often will need to have strong hands to continue further in the hand. Floating can be done from out of position as well, although that tends to be a less frequent variation on the move. 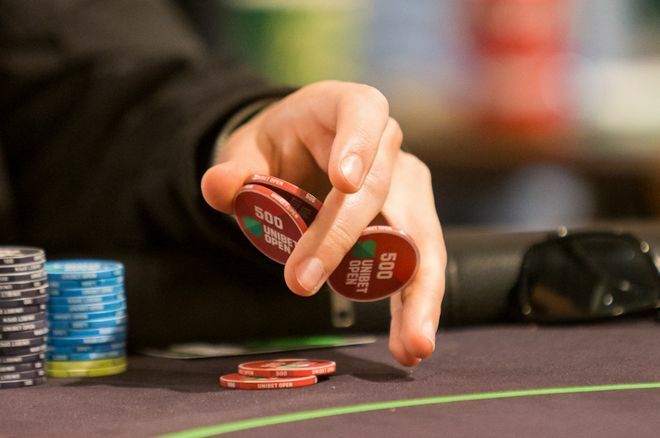 For an example, check out this analysis of a memorable hand played during last year's European Poker Tour Dublin festival in the €25,750 High Roller: "The Out-of-Position Float: Breaking Down Mustapha Kanit's Big Bluff at EPT Dublin." For many players, the float play should be used somewhat sparingly — as is the case with bluffing, generally speaking. It also needs to be executed thoughtfully, and not used as an excuse simply to call with a weak hand in the hopes that the next community card brings something good for you. Start rationalizing all your loose calls as "floats" and you'll soon be sunk. 6 10 More Hold'em Tips: Should You Ever Limp-Reraise?